I can't comment in the Review Queue, can you? For a while I've been unable to be able to rant comment in the review queue... any review queue... well except the "suggested edit" queue... anyone experiencing this issue as well? Ah, btw, reproducible in Chromium and Firefox. This is a bug that will be fixed soon. It's also a duplicate: Why are comments now disabled on the review queue? Not the answer you're looking for? 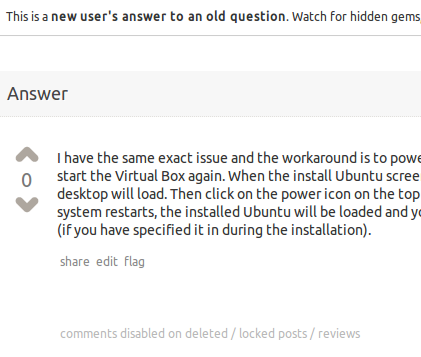 Browse other questions tagged bug review .